Today is the birthday (83 BCE) of Marcus Antonius, commonly known in English as Mark or Marc Antony, Roman politician and general who played a critical role in the transformation of the Roman Republic into the autocratic Roman Empire – usually called the Roman Revolution. 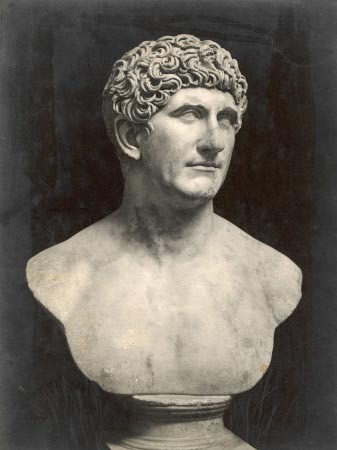 Mark Antony has shown up in posts here before, particularly as a critical player in the deaths of Cleopatra http://www.bookofdaystales.com/cleopatra-and-the-asp/ and Cicero http://www.bookofdaystales.com/cicero/ The waning moments of the Roman Republic were exceptionally turbulent times with powerful figures rising, then falling, left and right. Mark Antony, friend and ally of Julius Caesar, was the last of the shooting stars to ascend and burn out before Octavian/Augustus ultimately triumphed, making Rome a dictatorial, hereditary empire. This period is, without question, the most studied point in ancient Roman history. 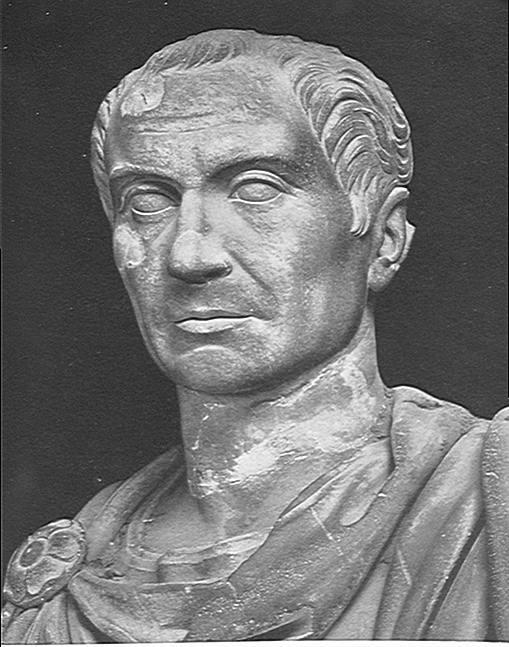 Antony was a supporter of Julius Caesar, and served as one of his generals during the conquest of Gaul and the Civil War with Pompey http://www.bookofdaystales.com/crossing-rubicon/ Antony was appointed administrator of Italy while Caesar eliminated political opponents in Greece, North Africa, and Spain. After Caesar’s murder by a faction – the Liberatores – led by Brutus and Cassius in 44 BCE, Antony joined forces with Marcus Aemilius Lepidus, another of Caesar’s generals, and Octavian, Caesar’s nephew and adopted son, forming a three-man dictatorship known to historians as the Second Triumvirate. The Triumvirs defeated the Liberatores, at the Battle of Philippi in 42 BCE, and divided the government of the Republic between themselves. Antony was assigned Rome’s eastern provinces, including the client kingdom of Egypt, then ruled by Cleopatra VII Philopator, and was given the command in Rome’s war against Parthia. Relations among the Triumvirs were strained as the various members sought greater political power. Civil war between Antony and Octavian was averted in 40 BCE, when Antony married Octavian’s sister, Octavia. 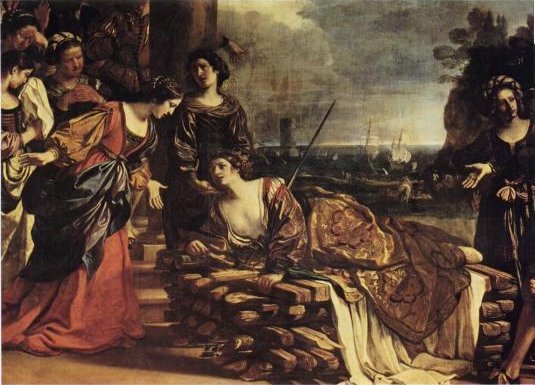 Despite this marriage, Antony carried on a love affair with Cleopatra, who bore him three children, further straining Antony’s relations with Octavian. Lepidus was expelled from the triumvirate in 36 BCE, and in 33 BCE disagreements between Antony and Octavian caused a split between them. Their ongoing hostility erupted into civil war in 31 BCE, as the Roman Senate, at Octavian’s direction, declared war on Cleopatra and proclaimed Antony a traitor. 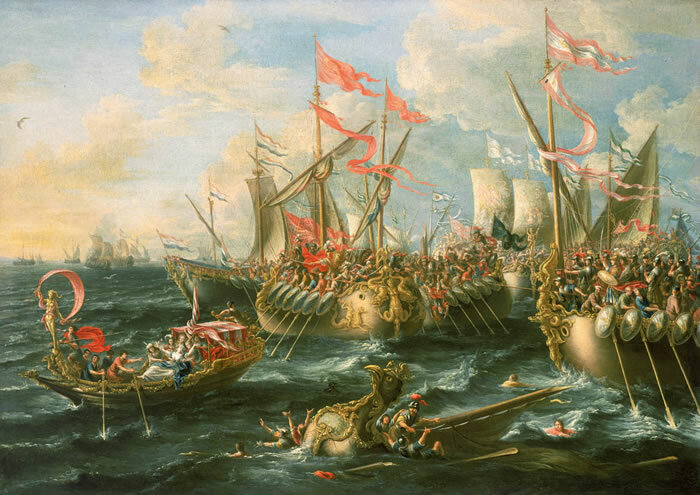 Later that year, Antony was defeated by Octavian’s forces at the Battle of Actium. Defeated, Antony and Cleopatra fled to Egypt, where they committed suicide. With Antony dead, Octavian was the undisputed master of the Roman world. In 27 BCE, he was granted the title of Augustus, marking the final stage in the transformation of the Roman Republic into an empire, with himself as the first Roman emperor. Antony features in two of Shakespeare’s plays – Julius Caesar, and Antony and Cleopatra. Julius Caesar, despite its title, focuses on Antony’s defeat of Brutus and the conspirators after Caesar’s murder, with Antony’s funeral oration being the most famous segment. In it Antony skillfully appears to condemn Caesar as a tyrant and praise Brutus as a man of the people, but in reality turns the crowd against Brutus and in favor of his own ambitions as successor to Caesar. Despite a certain degree of poetic license, Shakespeare stays fairly close to historical fact. Caesar’s funeral was held on 20th March (five days after his murder). Antony, as Caesar’s faithful lieutenant and reigning Consul, was chosen to preside over the ceremony and to recite the eulogy. During a demagogic speech, he enumerated the deeds of Caesar and, publicly read his will, which detailed the donations Caesar had left to the Roman people. Antony then seized the blood-stained toga from Caesar’s body and presented it to the crowd. Worked into a fury by the bloody spectacle, the assembly rioted. Several buildings in the Forum and some houses of the conspirators were burned to the ground. Panicked, many of the conspirators fled Italy. Under the pretext of not being able to guarantee their safety, Antony relieved Brutus and Cassius of their judicial duties in Rome and instead assigned them responsibility for procuring wheat for Rome from Sicily and Asia. Such an assignment, in addition to being unworthy of their rank, would have kept them far from Rome and shifted the balance towards Antony. Refusing such secondary duties, the two traveled to Greece instead. Despite the provisions of Caesar’s will, Antony proceeded to act as leader of the Caesarian faction, including appropriating for himself a portion of Caesar’s fortune rightfully belonging to Octavian. Antony enacted the Lex Antonia, which formally abolished the Dictatorship, in an attempt to consolidate his power by gaining the support of the Senatorial class. He also enacted a number of laws he claimed to have found in Caesar’s papers to ensure his popularity with Caesar’s veterans, particularly by providing land grants to them. Lepidus, with Antony’s support, was named Pontifex Maximus to succeed Caesar. 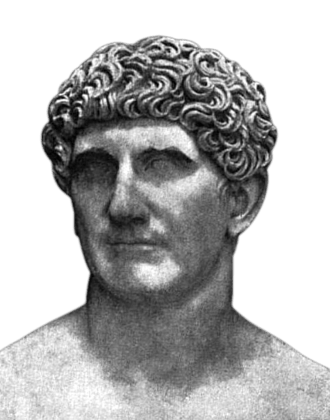 To solidify the alliance between Antony and Lepidus, Antony’s daughter Antonia Prima was engaged to Lepidus’s son, also named Lepidus. Surrounding himself with a bodyguard of over six thousand of Caesar’s veterans, Antony presented himself as Caesar’s true successor, largely ignoring Octavian. So the stage was set for Antony and Octavian to defeat the conspirators, and for Octavian subsequently to turn on Antony. Here’s a recipe from Apicius that could have graced Antony’s table at some point. Molded aspics are attested in Roman texts as fancy centerpieces. 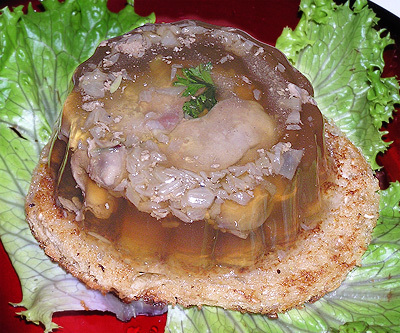 I used to make a chicken aspic as a party piece once in a while when I was much younger. They weren’t very popular, so I stopped making them. The principle is simple – lightly grease a fancy mould with a clear oil. Pour a thin layer of aspic in the mould and let it gel slightly. For my aspic I used a clarified stock plus the requisite amount of gelatin dissolved in the warmed stock. Then put a decorative component on the bottom. Fill up the mould with meat, vegetables, or whatever, so that you have pretty layers – leaving a small gap between the filling and sides of the mould. Then fill up the mould with aspic and let set in the refrigerator, preferably overnight. Unmould by immersing the mould in warm water for a few minutes, being careful not to let the water flow into the mould. Place a serving plate on top of the mould, say a prayer, and invert. With luck it will come out clean. Serve immediately. The following recipe is a translation which I have edited. It gives you some ideas for what you might use as a filling. If I were to use this recipe I would place the dressing in the base of the mould. Put in the mortar celery seed, dry pennyroyal, dry mint, ginger, fresh coriander, seedless raisins, honey, vinegar, oil and wine; crush it together in order to make a dressing of it. Place 3 pieces of Picentian bread in a mould, interlined with pieces of cooked chicken, cooked sweetbreads of calf or lamb, [ewe’s] cheese, pine nuts, pickled cucumbers, finely chopped dried onions, covering the whole with jellified broth. Bury the mould in snow up to the rim; unmould, sprinkle with the above dressing and serve. 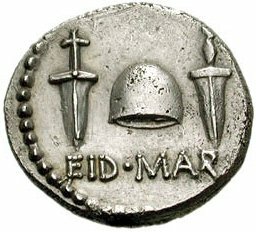 The Ides of March (Latin: Idus Martii or Idus Martiae) is a day on the Roman calendar that corresponds to 15 March. It was marked by several religious observances, and became notorious as the date of the assassination of Julius Caesar in 44 BCE. 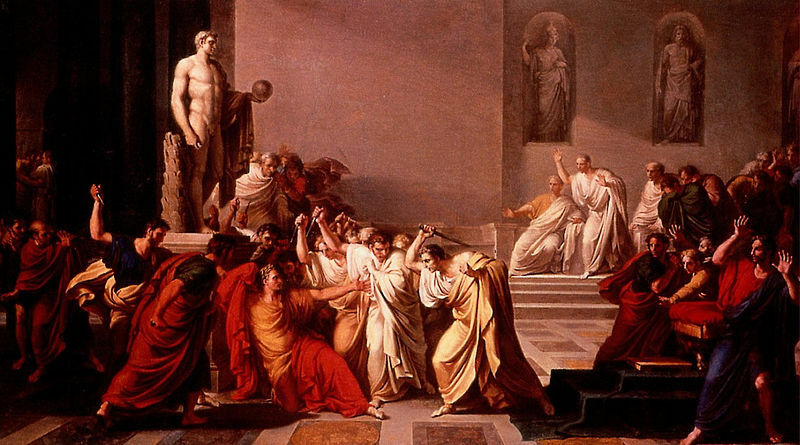 The death of Caesar made the Ides of March a turning point in Roman history, as one of the events that marked the transition from the historical period known as the Roman Republic to the Roman Empire. The Ides of each month were sacred to Jupiter, the supreme deity of the Romans. The Flamen Dialis, Jupiter’s high priest, led the “Ides sheep” (ovis Idulius) in procession along the Via Sacra to the arx, where it was sacrificed. In addition to the monthly sacrifice, the Ides of March was also the occasion of the Feast of Anna Perenna, a goddess of the year whose festival originally concluded the ceremonies of the new year. The day was enthusiastically celebrated among the plebeians (common people) with picnics, drinking, and revelry. One source from late antiquity also places the Mamuralia on the Ides of March. This observance, which has aspects of scapegoat or ancient Greek pharmakos ritual, involved beating an old man dressed in animal skins and perhaps driving him from the city. The ritual may have been a new year festival representing the expulsion of the old year. In the later Imperial period, the Ides of March began a “holy week” of festivals for Cybele and Attis. The Ides was the day of Canna intrat (“The Reed enters”), when Attis was born and exposed as an infant among the reeds of a Phrygian river. He was discovered—depending on the version of the narrative—by either shepherds or the goddess Cybele, who was also known as the Magna Mater, “Great Mother.” A week later, on 22 March, the day of Arbor intrat (“The Tree enters”) commemorated the death of Attis under a pine tree. A college of priests called “tree bearers” cut down a tree, suspended from it an image of Attis, and carried it to the temple of the Magna Mater with lamentations. The day was formalized as part of the official Roman calendar under Claudius. A three-day period of mourning followed, culminating with the rebirth of Attis on 25 March, the date of the vernal equinox on the Julian calendar. Nowadays people remember the Ides of March as the day Julius Caesar was assassinated in 44 BCE. Tensions had been mounting in the senate for some time because Caesar seemed to be intent on dismantling the democratic foundations of the Roman Republic which had been in place for hundreds of years. 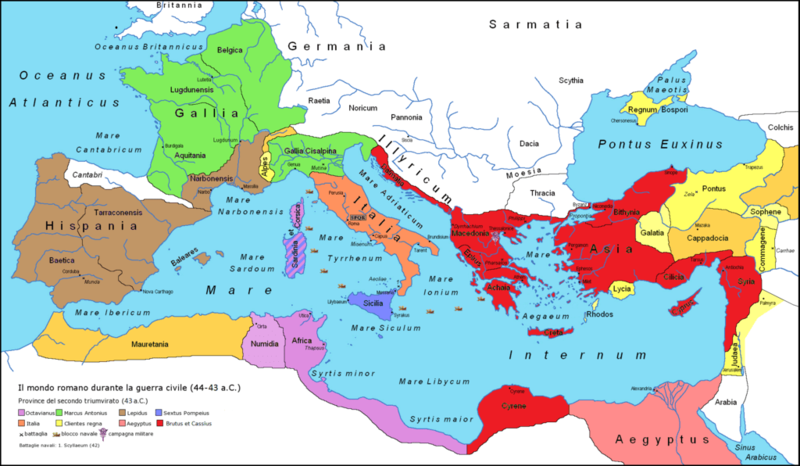 It began with the overthrow of the Roman monarchy with a revolt against the last king Tarquin the Proud, traditionally dated around 509 BCE, and its replacement by a government headed by two consuls, elected annually by the citizens and advised by a senate. A complex constitution gradually developed, centered on the principles of a separation of powers and checks and balances. Except in times of dire national emergency, public offices were limited to one year, so that, in theory at least, no single individual wielded absolute power over his fellow citizens. When consuls left the senate after a year they were required to leave Rome and take up a governorship in one of the provinces. 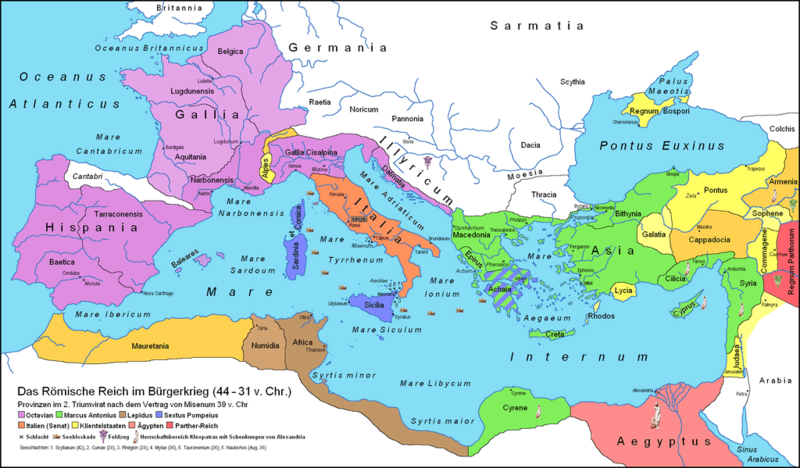 In the 50’s BCE Caesar had built up a strong army in the provinces and had vastly expanded Roman territories in the Western parts of Europe – notable Gaul. He had even invaded Britain although he could not sustain a Roman province there. By 49 BCE he was determined to return to Rome with his army and seize power. The momentous occasion occurred in 49 BCE when he crossed the Rubicon river, the traditional boundary separating Rome from the provinces. Once he was in Roman territory with an army it was clear that he was going to take power and could not turn back. Hence “crossing the Rubicon” now means making a decisive and irreversible move. Between his crossing of the Rubicon and his assassination in 44 BCE, Caesar established a new constitution, which was intended to accomplish three separate goals. First, he wanted to suppress all armed resistance out in the provinces so that what he did could not be repeated, and thus bring order back to the empire. Second, he wanted to create a strong central government in Rome. Finally, he wanted to knit together the entire empire into a single cohesive unit. Biographers describe tension between Caesar and the Senate, and his possible claims to the title of king. These events were the principal motive for Caesar’s assassination. The Senate named Caesar dictator perpetuo (“dictator in perpetuity”). Roman mints produced a denarius coin with this title and his likeness on one side, and with an image of the goddess Ceres and Caesar’s title of Augur Pontifex Maximus on the reverse. While minting the title of dictator was not controversial, Caesar’s image was, as it was unusual to feature living consuls and other public officials on coins during the Republic. According to Cassius Dio, a senatorial delegation went to inform Caesar of new honors they had bestowed upon him in 44 BC. Caesar received them while sitting in the Temple of Venus Genetrix, rather than rising to meet them (sitting being symbolic of kingship). Suetonius wrote (almost 150 years later) that Caesar failed to rise in the temple, either because he was restrained by Cornelius Balbus or that he balked at the suggestion he should rise. Suetonius also gave the account of a crowd assembled to greet Caesar upon his return to Rome. A member of the crowd placed a laurel wreath on the statue of Caesar on the Rostra. The tribunes Gaius Epidius Marcellus and Lucius Caesetius Flavus ordered that the wreath be removed as it was a symbol of Jupiter and royalty. Caesar had the tribunes removed from office through his official powers.According to Suetonius, he was unable to dissociate himself from the royal title from this point forward. Suetonius also gives the story that a crowd shouted to him rex (“king”), to which Caesar replied, “I am Caesar, not Rex”. Also, at the festival of the Lupercalia, while he gave a speech from the Rostra, Mark Antony, who had been elected co-consul with Caesar, attempted to place a crown on his head several times. Caesar put it aside to use as a sacrifice to Jupiter Optimus Maximus. Plutarch and Suetonius are similar in their depiction of these events, but Dio combines the stories writing that the tribunes arrested the citizens who placed diadems or wreaths on statues of Caesar. He then places the crowd shouting “rex” on the Alban Hill with the tribunes arresting a member of this crowd as well. The plebeian protested that he was unable to speak his mind freely. Caesar then brought the tribunes before the senate and put the matter to a vote, thereafter removing them from office and erasing their names from the records. 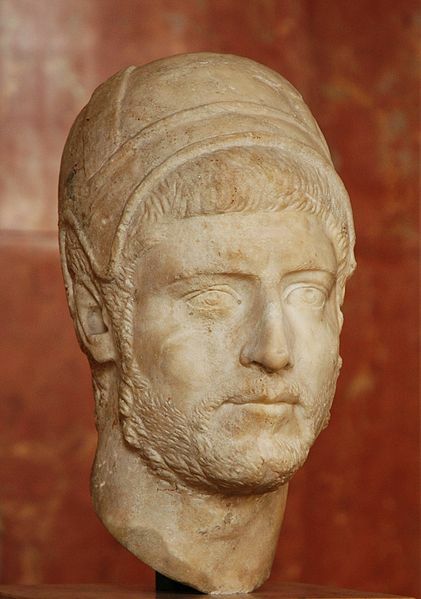 Suetonius adds that Lucius Cotta proposed to the Senate that Caesar should be granted the title of “king” for it was prophesied that only a king would conquer Parthia. Caesar intended to invade Parthia, a task that later gave considerable trouble to Mark Antony during the second triumvirate. His many titles and honors from the Senate were ultimately merely that, honorary. Caesar continually strove for more power to govern, with as little dependence as possible on honorary titles or Senate. The placating ennobling of Caesar did not allay ultimate confrontation, as the Senate was still the authority, granting to Caesar his titles. Formal power resided in them, in tension with Caesar. …his friends were alarmed at certain rumors and tried to stop him going to the Senate-house, as did his doctors, for he was suffering from one of his occasional dizzy spells. His wife, Calpurnia, especially, who was frightened by some visions in her dreams, clung to him and said that she would not let him go out that day. But Brutus, one of the conspirators who was then thought of as a firm friend, came up and said, ‘What is this, Caesar? Are you a man to pay attention to a woman’s dreams and the idle gossip of stupid men, and to insult the Senate by not going out, although it has honored you and has been specially summoned by you? But listen to me, cast aside the forebodings of all these people, and come. The Senate has been in session waiting for you since early this morning.’ This swayed Caesar and he left. Caesar had been preparing to invade the Parthian Empire (a campaign later taken up by his successor, Mark Antony) and planned to leave for the East in the latter half of March. This forced a timetable on to the conspirators. Two days before the actual assassination, Cassius met with the conspirators and told them that, should anyone discover the plan, they were to turn their knives on themselves. His successors did attempt the conquests of Parthia and Germania, but without lasting results. On the Ides of March of 44 BCE, the conspirators staged a gladiatorial games at Pompey’s theatre. The gladiators were provided by Decimus Brutus in case their services were needed. They waited in the great hall of the theatre’s quadriportico. Mark Antony, having vaguely learned of the plot the night before from a terrified Liberator named Servilius Casca, and fearing the worst, went to head Caesar off at the steps of the forum. However, the group of senators intercepted Caesar just as he was passing the Theatre of Pompey, located in the Campus Martius (now adjacent to the Largo di Torre Argentina), and directed him to a room adjoining the east portico. According to Plutarch, as Caesar arrived at the Senate, Lucius Tillius Cimber presented him with a petition to recall his exiled brother. The other conspirators crowded round to offer their support. Both Plutarch and Suetonius say that Caesar waved him away, but Cimber grabbed Caesar’s shoulders and pulled down Caesar’s tunic. Caesar then cried to Cimber, “This is violence!” (“Ista quidem vis est!”). At the same time, Casca produced his dagger and made a glancing thrust at the dictator’s neck. Caesar turned around quickly and caught Casca by the arm. According to Plutarch, he said in Latin, “Casca, you villain, what are you doing?” Casca, frightened, shouted “Help, brother!” in Greek (“adelphe, boethei”). Within moments, the entire group, including Brutus, was striking out at the dictator. Caesar attempted to get away, but, blinded by blood, he tripped and fell; the men continued stabbing him as he lay defenseless on the lower steps of the portico. According to Eutropius, around 60 or more men participated in the assassination. Caesar was stabbed 23 times. 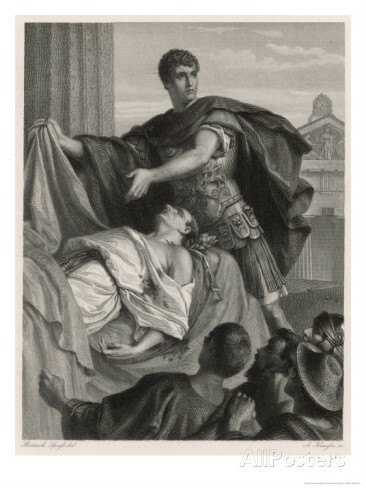 Suetonius relates that a physician who performed an autopsy on Caesar established that only one wound (the second one to his chest) had been fatal. This autopsy report (the earliest known post-mortem report in history) describes that Caesar’s death was mostly attributable to blood loss from the multiple stab wounds. The dictator’s last words are a contested subject among scholars and historians and people alike. Suetonius reports that others have said Caesar’s last words were the Greek phrase “καὶ σύ, τέκνον” (transliterated as “Kai su, teknon?”: “You too, my son?” in English). However, Suetonius himself says Caesar said nothing. But Suetonius was writing in 122 AD about events on March 15, 44 BCE. Plutarch also reports that Caesar said nothing, pulling his toga over his head when he saw Brutus among the conspirators. The version best known in the English-speaking world is the Latin phrase “Et tu, Brute?” (“You too, Brutus?”); this derives from Shakespeare’s Julius Caesar (1599), where it actually forms the first half of a macaronic line: “Et tu, Brute? Then fall, Caesar.” It has no basis in historical fact, and Shakespeare’s use of Latin here is not from any assumption that Caesar would have been using the language, but because the phrase was already popular at the time the play was written. According to Plutarch, after the assassination, Brutus stepped forward as if to say something to his fellow senators not involved in the plot; they, however, fled the building. Brutus and his companions then marched to the Capitol while crying out to the city: “People of Rome, we are once again free!” They were met with silence, as the citizens of Rome had locked themselves inside their houses as soon as the rumor of what had taken place had begun to spread. Caesar’s dead body lay where it fell on the Senate floor for nearly three hours before other officials arrived to remove it. A wax statue of Caesar was erected in the Forum displaying the 23 stab wounds. A crowd who had amassed there started a fire, which badly damaged neighboring buildings. 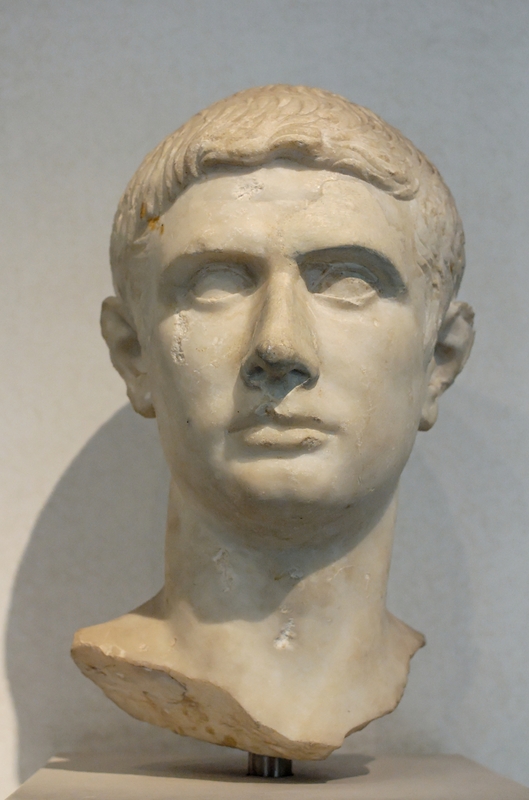 In the ensuing years a series of civil wars resulted with the end of the Republic and the rise of imperial Rome under Caesar’s adopted son Octavian, who took the imperial name, Augustus. The supreme irony, therefore, is that the conspirators, while trying to maintain the republic, ended up causing its demise. This is a recipe for saffron chickpeas that is alluded to several times in ancient literature, and Apicius provides a recipe in De Re Coquinaria. 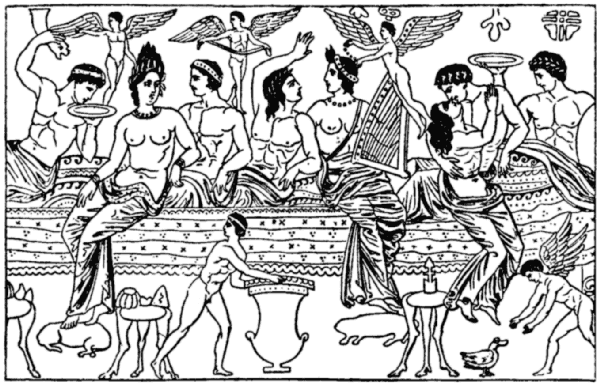 (See here too) It originated in ancient Greece but was apparently quite popular in Rome for several centuries. This is my adaptation of Apicius. I decided to mash the end product because I am currently in a phase of serving fried fish on something mashed. 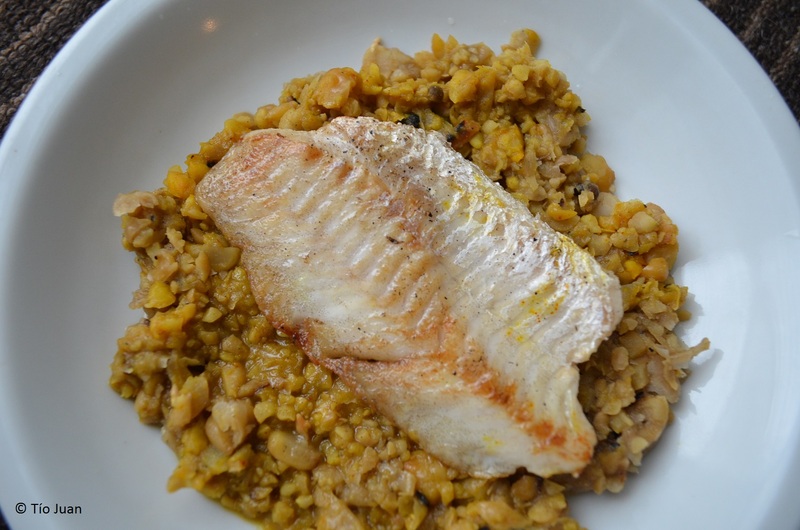 This dish would be at home in ancient Rome because fried fish was very popular. Combine in a large saucepan 14 ozs/400g of dried chickpeas, ½ cup olive oil, ½ tbsp ground cumin, and ½ tbsp ground coriander. Cover with light stock and add salt and freshly ground pepper to taste. 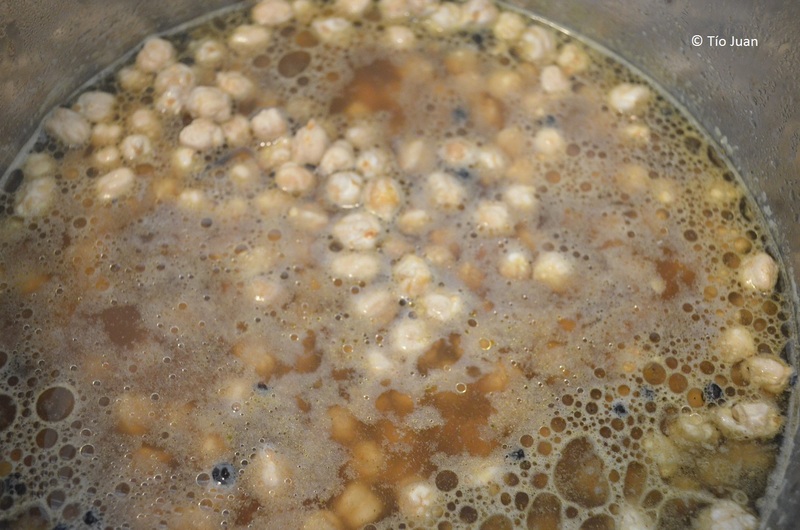 Bring to a simmer and cook the chickpeas until they are very tender (about 3 hours). Top up the stock as necessary. Towards the end of the cooking process let the liquid reduce and add ¼ tsp of powdered saffron. 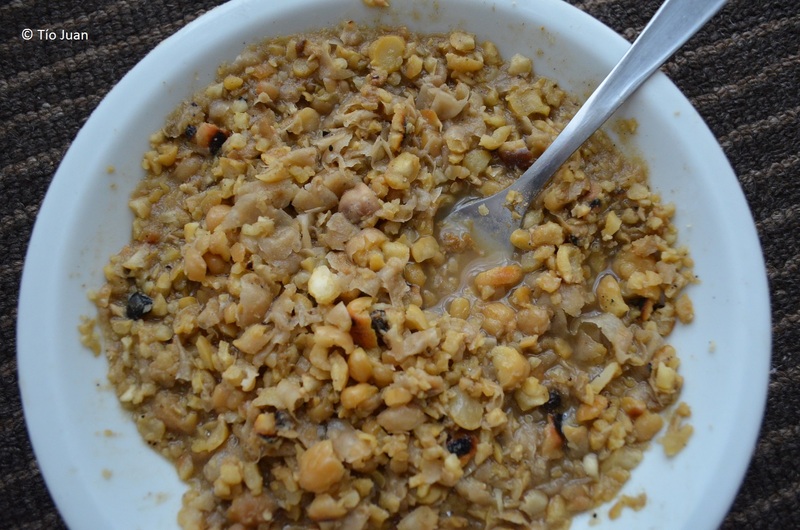 Mash with a fork or use a food processor. I use a fork because I like the mash to retain some texture. Use as a base for meat or fish, or serve as a side dish.